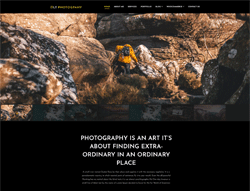 LT Photography is a Free and Premium Responsive WordPress theme that targets for Image Gallery or Photography websites. The theme is great to bring photographers and those who enjoy beautiful and quality photographs together. Moreover, it shares content that is interesting and inspiring to photographers and those who enjoy photography. For technique of this theme, it builds from powerful framework with fully bootstrap supporting strong shortcode for present content easily, drag-drop layout content, Bootstrap CSS & Hybrid framework. LT Photography comes with 100% responsive layout that smoothly adapts to different screens (support tablets and all mobile devices), clean and stylish. In addition, it comes with unlimited color and a color picker in the admin panel. By downloading and installing this beautiful theme, you can instantly create superb presence for your website.